The fight for human rights is a timeless struggle that is chronicled beautifully at the People’s History Museum. We thoroughly enjoyed gaining a deeper understanding of the achievements of British workers over the last few centuries, particularly since the Industrial Revolution brought greater concentrated wealth to the United Kingdom. Along with being a great history lesson, we loved that the museum is a colourful and hands on place. Even as 30-somethings with no children, we enjoyed playing dress up with Victorian era garments and hats. And it was fun to be allowed to pick up old telephones and handle antique cash registers. This is not your ordinary stuffy museum! As American and Australian husband and wife travel writers, we visited the museum with different cultural backgrounds, but whose nation’s origins both stem from the United Kingdom. It’s interesting to learn and compare the plight of our British cousins to those of our own. 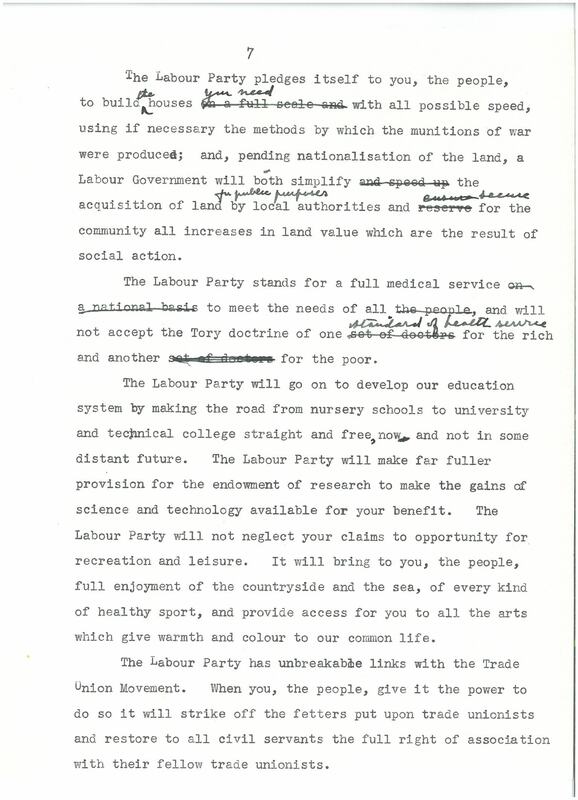 We particularly enjoyed learning about the founding of the National Health Service in 1948 because it’s our personal belief that a similar system should have been implemented in the United States. Unfortunately health care in the USA did not evolve to be based on human rights, but rather privilege. Americans are constantly bombarded with propaganda that we have the best health care system in the world, and people wish to climb our walls and swim across seas to access it. On this issue, the voices of the powerful have been winning, and the USA has lagged significantly behind the UK in this area of human rights. A common theme at the People’s History Museum is propaganda, and many forms of it are displayed prominently. It’s important that the masses are able to decipher the propaganda of the powerful if we are to continue to achieve victories in terms of access to a fair share of the wealth that our nations produce. We honestly believe that the People’s History Museum is one of the most interesting and important museums we’ve visited on our travels that have spanned 45 countries, on every continent of our planet. The history and messages displayed at the museum are pertinent far beyond the shores of the United Kingdom and truly do extend to every corner of the globe. Alex Kallimanis is the American half of the husband and wife team who have lived in Europe for 6 years, between Amsterdam and Dublin. They write about travel and expat life for their website wanderlustmarriage.com. They met in a hostel dorm room in Brugge, Belgium 12 years ago and have each lived in their home countries of Australia and the United States with one another. They got married in Melbourne, Australia 9 years ago. 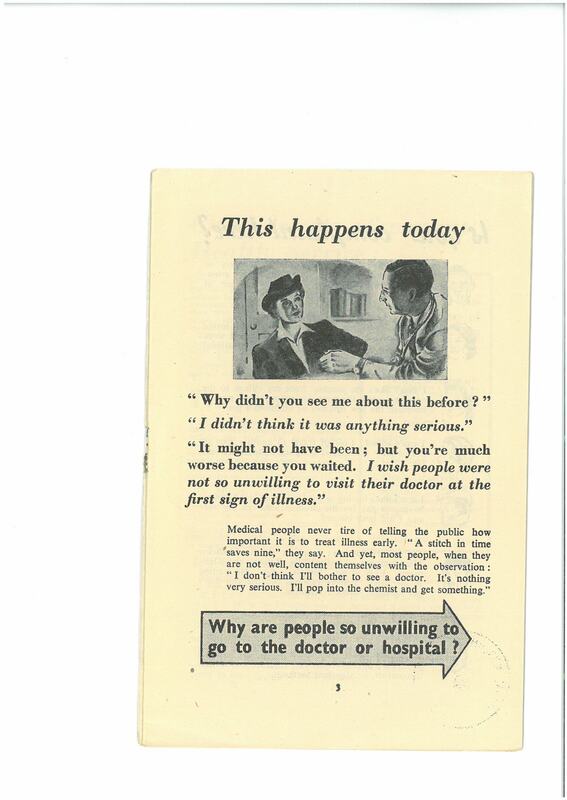 Julie Parry, Archivist in the Labour History Archive & Study Centre, has written this blog on the 65th Anniversary of the NHS. 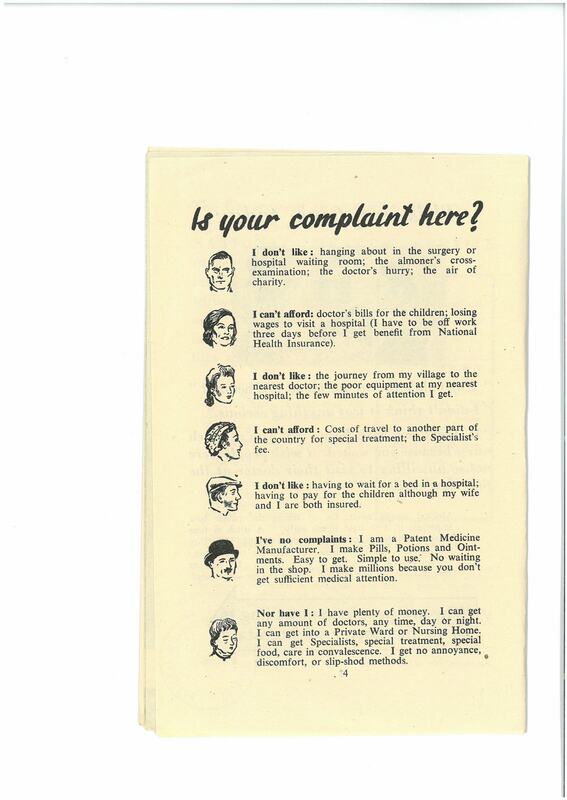 Next up is a page taken from a Communist Party leaflet Good Health for all: An examination of the Government’s proposals for a National Health Service (1944). I wonder how much things have really changed for some people? 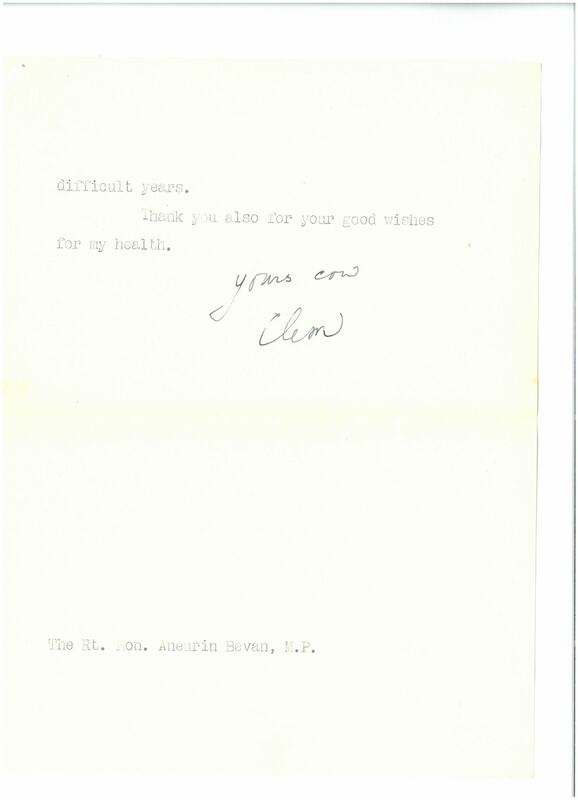 Lastly there is a letter from Clement Attlee to Aneurin Bevan, Minister of Health who resigned from the Labour government when it was proposed to introduce charges for eyeglasses and dentures. 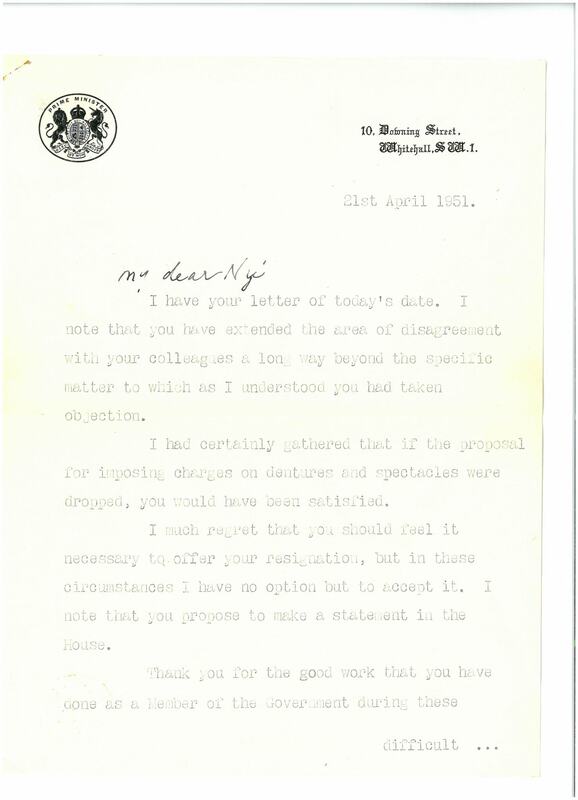 This letter is Attlee’s acceptance of Bevan’s resignation in April 1951.